Simple design for multi-functional use. Flexible solution for lots of applications, can also be used in a shed but primarily in a trailer for permanently monitoring the animals during a journey. 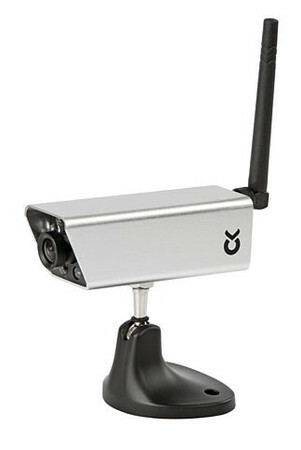 The camera's magnetic foot means it can be mounted on any metallic surfaces and operated for up to six hours without any other power supply using the integral rechargeable battery. The 2.5" monitor can receive up to four cameras at the same time and can be operated in battery mode or using an adapter for the cigarette lighter. The transmission range of up to 100 m means that the driver can even leave the vehicle during a break whilst still keeping his eye on the animals by receiving the images on the 2.5" monitor. There are no reviews for Trailer Camera 2.4 GHz, 4 ch, with cable and magnet base yet.